Pesticide Monitoring For Marin County Stormwater Pollution Prevention Program - Applied Marine Sciences, Inc.
AMS is supporting the Marin County Stormwater Pollution Prevention Program and City of Petaluma in implementation of a pesticide monitoring program to assess impacts of pesticide usage upon County waterways. 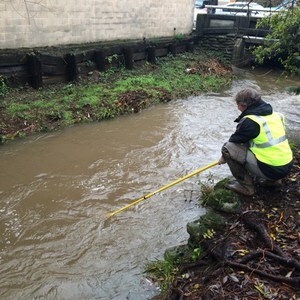 The work is being done as an implementation requirement of the Total Maximum Daily Load (TMDL) for Diazinon and Pesticide Related Toxicity for Urban Creeks in the San Francisco Bay Region. AMS is providing overall project management, monitoring, quality assurance, data management, and interpretation for the project.